The Author Gravatar module can be enabled / disabled with the “Include Author Gravatar Image” option checkbox on the General settings page. When enabled, the Gravatar module can include the user’s Gravatar image in author meta tags, and the shared image for author index pages. 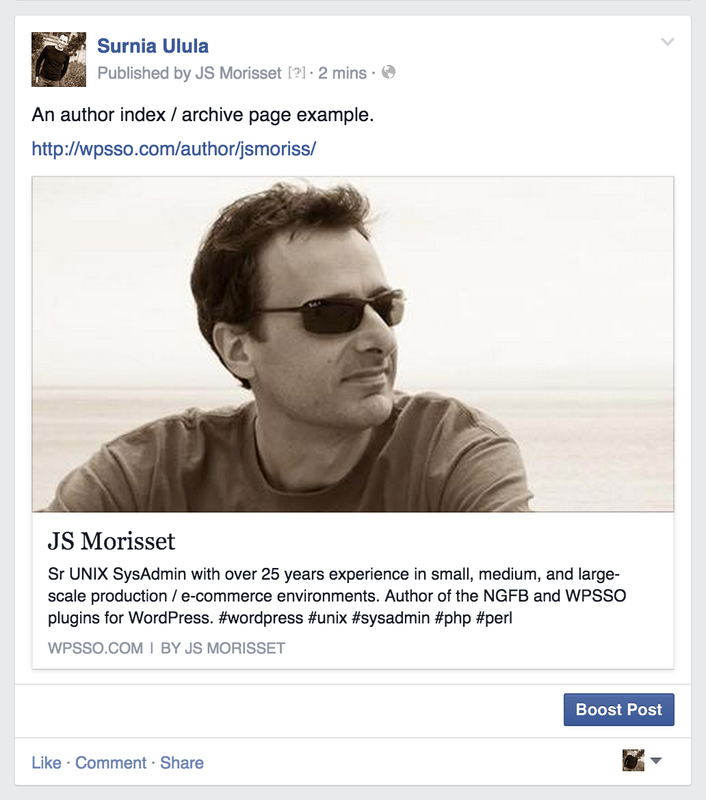 Here’s an example illustrating the https://surniaulula.com/author/jsmoriss/ URL being posted to Facebook. The image shown is provided by the Author Gravatar module, and the description value has been customized in the user’s Social and Search Optimization metabox.